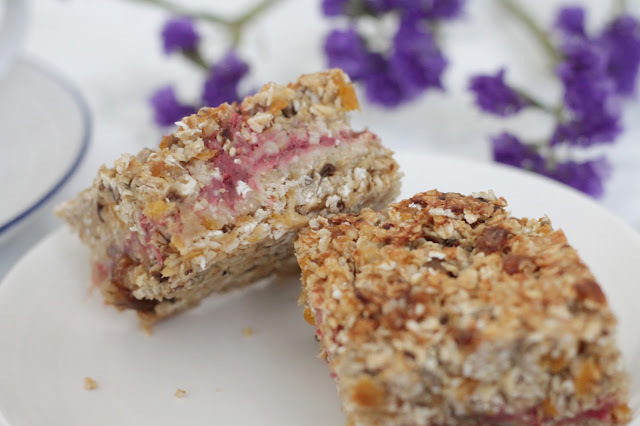 I have been inspired by the hot weather recently to experiment in the kitchen with some more healthy bakes! 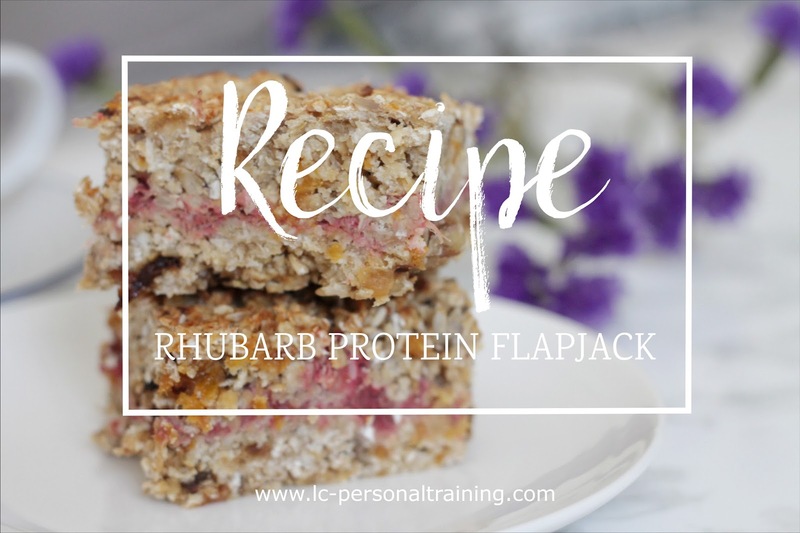 My mother filled my fridge with a glut of rhubarb recently, and whilst I adore the tartness, in large quantities my stomach does not. 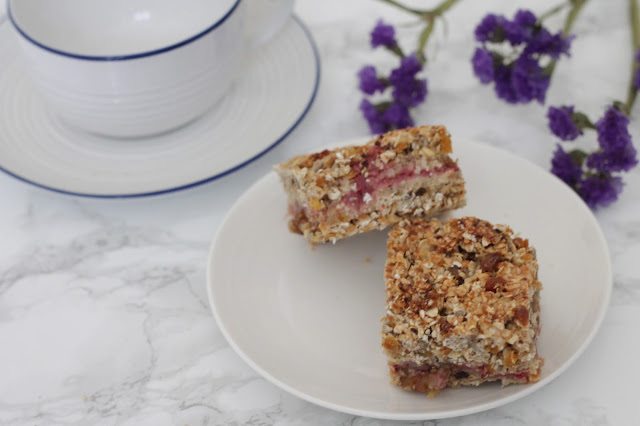 By combining it with a fruit and seed rich flapjack which is barely-there sweet, the tartness is diluted by the chewiness, but still packs a delicious punch. 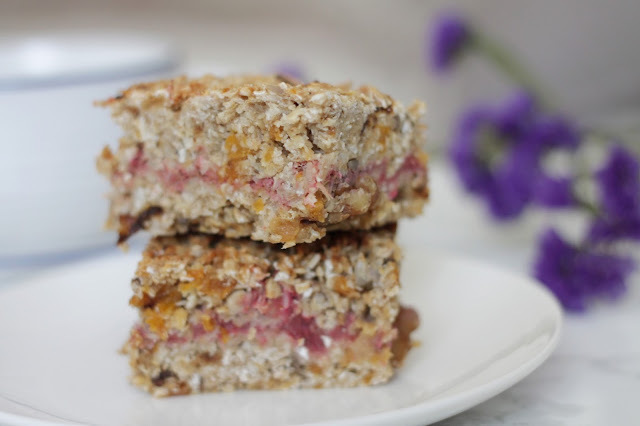 Perfect for breakfast on the run, or a post-workout refuel. Place rhubarb and ginger is a microwave proof bowl and zap on high, stirring often, until a thick mush. Add a wee drop of pink food colouring if you're feeling brave. Combine all of the flapjack ingredients in a massive bowl. Add some nut milk/water to help with binding if the mixture is very dry. Add the rest of the flapjack mixture and flatten down with a spatula. Leave to cool, and then slice into generous squares!